Specialty coffee is a matter of choice, not a beverage of chance. Great care must be taken to ensure the intrinsic quality of the coffee, from farm to cup, is not destroyed by the process or the person preparing the beverage. Under the dabbled light of a subtropical forest, the sweet smell from the coffee blooms entices one of java’s smallest customers: the honeybee. Although bees are not required to pollinate Coffea arabica plants, they are valued on by coffee farmers for their positive impact on the crop uniformity and ability to create a great source of income through the sales of honey and combs. Named after our love for house music and for the great city where we grew up and live. This coffee is funky, fresh, and will make you move. It is well balanced with a nice body, citrus flavors and rounds out at the end. Photos courtesy Passion House Coffee. Best Espresso in the world. World’s Best Espresso was awarded Best Espresso in World at 2007 World Barista Championship in Tokyo, Japan. The competition espresso won the honor over 45 competing countries. World’s Best features three legendary beans, Brazil Yellow Bourbon, Sumatra Lake Tawar, and Ethiopian Natural. Each roasted separately then blended together for peak flavor. From his visits to the Boquete valley in Panama, home to some of the most amazing coffees in the world, Martin has maintained a relationship with the Chiari family for years, and we’re proud to have this wonderful offering. Semi-sweet chocolate and cherry notes complement vanilla and honey aromas, with a syrupy body and lively, green apple acidity. This is a beautifully balanced coffee with a pleasingly exotic flavor. The wildness of the Mocha coffee complements the smoothness of the Java coffee. Going back to the origins of coffee, the earliest known blend was a combination of Arabian (Yemen) Mocha Coffee and Indonesian Java Arabica Coffee. The wildness of the Mocha coffee complements the smoothness of the Java coffee. We decided to bring back a classic by adding Mocha-Java to our year-round menu. This version of the iconic blend pairs a sundried Ethiopian Yirgacheffe with a big bold Sumatra, resulting in endless layers of fudge, blueberry, caramel, strawberry, and oak. If this Mocha-Java was a wine, it would be Cabernet Sauvignon. Enjoy at will. We are proud to introduce you to the brave women of Hinga Kawa Women’s Coffee. The Abakundakawa (“Those Who Love Coffee”) Rushashi coffee cooperative, located in the northern mountainous region of the district of Gakenke is situated at an altitude of 1700-1900 meters and encompasses five distinct zones. The coffee cooperative was formed in 2004 and due to a strong women’s movement became the first Women’s’ Farmer Association of its kind in Rwanda. Abakundakawa coffee cooperative is represented by two women’s associations, Hinga Kawa (“Let’s Grow Coffee”) and Dakundakawa (“We love Coffee”). The women of Hinga Kawa have seen one of the darkest periods of Rwandan history. Since this group includes both Hutu and Tutsi, the women made a decision to make poverty their mutual enemy rather than each other; and with this sentiment, they have been able to move forward and heal their community through their leadership. After the coffee farms in Rwanda were left fallow for a time, several organizations assisted the farmers to be able to produce coffee once again. We are proud to introduce you to the brave women of Hinga Kawa Women’s Coffee. The journey of both the producers and product are fully traceable by a third party traceability verifier. The details to chain of custody tracking allow us to recognize these incredible women and understand what makes this coffee as special as it tastes. Jose Francisco Portillo, known as “Don Pancho” in his community, began planting coffee trees over forty years ago on his family’s land in Santa Bárbara overlooking Lake Yojoa (the largest natural lake in Honduras). Jose Francisco Portillo, known as “Don Pancho” in his community, began planting coffee trees over forty years ago on his family’s land in Santa Bárbara overlooking Lake Yojoa (the largest natural lake in Honduras). His son, Roberto, grew up playing along the hillsides and learning about coffee from his father, and for decades they picked, processed and sold their coffee to local mills that would simply blend multiple lots and sell in bulk to the mass market. Today, Santa Bárbara is emerging as a hotspot for specialty coffee production alongside the venerable Capucas, the most popular and established coffee-growing region in Honduras (and the home of our Capucas, Los Liros and Plantanares offerings). This is largely due to Angel Arturo Paz, his brother Benjamin, and their team at the San Vicente mill in Peña Blanca. They have worked tirelessly within the region, visiting farms and introducing the value of specialty coffee to farmers who can be resistant when it comes to abandoning years of tradition for what is essentially a leap of faith. They assist the farmers with each step of bringing their operations up to standard, from fertilizing to picking to drying. It is intensive, exhausting work, but the Paz brothers can see enormous potential for their region, and they are enthusiastic ambassadors for the incredible quality that’s becoming the norm for Santa Bárbara coffees. When Arturo was visiting Roberto’s farm he noticed the 40-year-old Bourbon trees and encouraged him to pick and process that Bourbon cherry separate from the Lempira. And when Irving Farm’s Green Coffee Buyer, Dan Streetman, tasted the first samples he knew it was something special. He asked Roberto what we should call it (producers in this region hadn’t been in the habit of naming their farms) and Roberto requested that we name it after his father, Don Pancho, who in planting these trees had unknowingly paved the way for a future in specialty coffee production. We purchased Roberto’s harvest in 2012 and 2013, but in 2014 the farm was devastated by the dreaded coffee leaf rust, known as Roya. By the time Dan was able to visit and see the extent of the damage, Roberto had already decided to raze the Bourbon and replant from scratch, a process that could take a few years before the new trees would even produce viable fruit. Roberto was incredibly disappointed, but Dan promised that he would be the first in line to buy any future harvest. After discussing the various options, Dan and Benjamin recommended that Roberto hold off on destroying his father’s Bourbon for just one more season. There was the tiniest chance that the trees might survive, and they felt that it could be worth a shot. Against all odds, the Bourbon not only survived, but it produced an exceptional (albeit small) crop and Irving Farm purchased the entire lot this year. Roberto dedicated daily attention to the trees and was steadfast in fighting the rust, so it could be the result of patience and persistence, or it could be proof that miracles do exist. Either way, we are relieved and overjoyed for Roberto, and thrilled that you get to taste this remarkable brew. 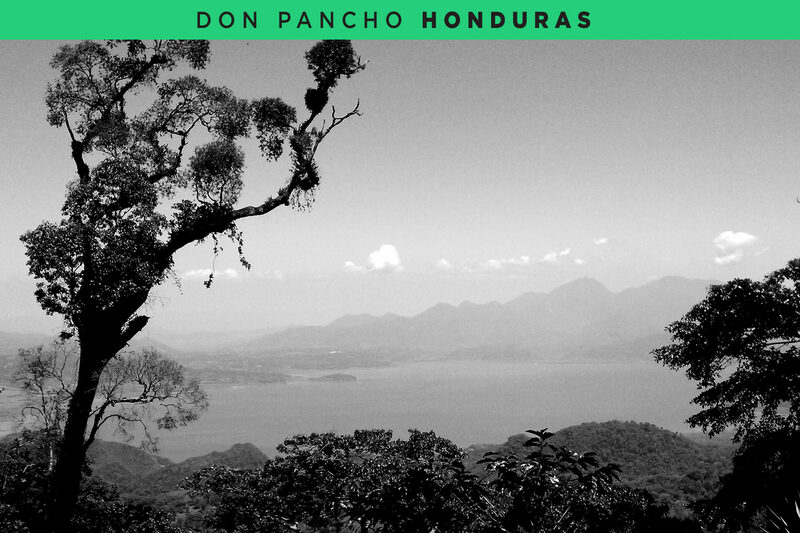 Don Pancho is a coffee that is close to our hearts, and its dynamic journey is evident in the depth of its richly layered flavors. The peaberry is a unique coffee bean. It is actually a pair of beans mutated into one. Because there are two beans forming one, the coffee contains twice the nutrients and oils as normal beans, and twice the flavor as well. Tanzanian Peaberry has an earthy aroma with a bold and nature-like taste. It has heavy body, but goes down surprisingly smooth. This unique coffee is a nice change for both expert and beginner coffee drinkers alike. We are extremely proud to share that we were named Roast Magazine’s Macro Roaster of the Year for 2014. The result: a clean, elegant and bright coffee that starts off with flavors of lemon and turbinado sugar, then shifts to blackberry, red wine and chocolate as it cools. This coffee epitomizes our craftsmanship. 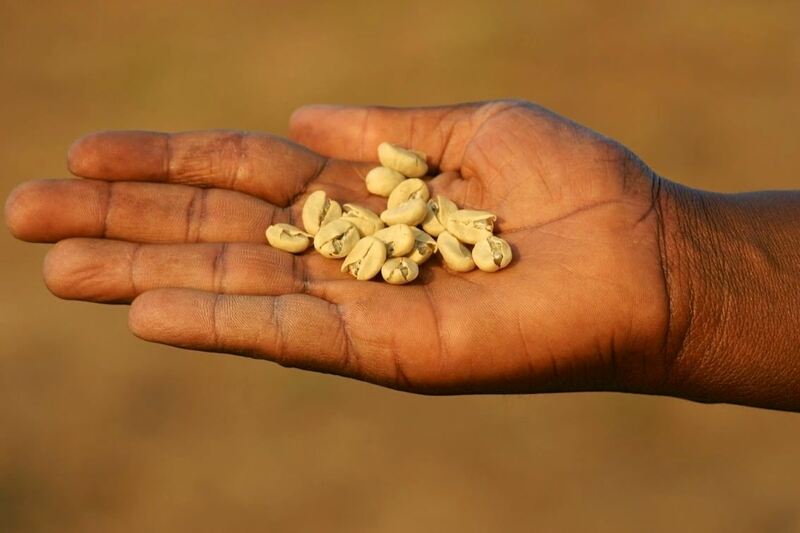 From harvest through roast, we coddle these beans — and they treat us very well in return. To understand this coffee’s promise, let’s go back to 2008. Miguel discovered Red Bourbon on our farm, and Lorie was curious enough to harvest and process it separately. When they tasted it the following spring, the results seemed impressive enough for Coffee Review. For its July 2009 issue, Coffee Review would compare bourbon coffees from around the world. Lorie had never submitted an entry and was nervous. Miguel offered to help, but he forgot about the deadline. By the time he called to remind her, it was almost too late — and he was out of town. “How am I supposed to roast it?” Lorie said, flustered. “However you see fit,” Miguel said. Miguel had taught Lorie how to roast, but she still was unsure of herself. With only one shot to get it right, she chose a medium roast and hoped for the best. What happened next literally made her cry. She scored 95 points, beating out all of the other coffees – including ones from Kenya and El Salvador. Lorie still is as meticulous with her processing methods — and has had impressive results. She combined our washed Red Bourbon and washed Typica to win the Hawaii Coffee Association’s 2010 statewide cupping competition. 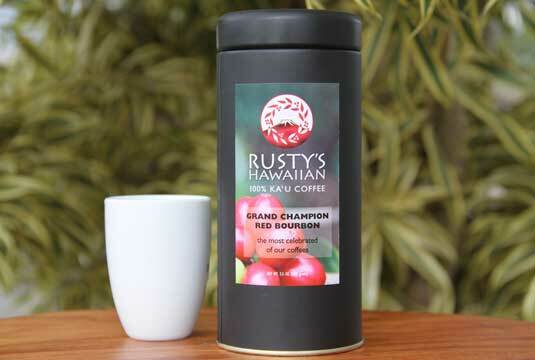 Our Kenya-style Red Bourbon won the same contest in 2011. Ethiopia Amaro Gayo, a cup full of lush berry flavor, complex acidity and juicy body. In the southwestern part of Ethiopia lie the Amaro Mountains, a small range which separates the communities of Amaro on the eastern slopes from Nechisar National Park and the lowland tribal areas of Arba Minch in the west. A native of the Amaro region has become one of the most inspiring figures in Ethiopian coffee today: her name is Asnakech. She’s earned this title because in 2005 she decided to return to her homeland determined to improve the quality of coffee at her mill and in the surrounding communities. One of the many improvements and changes Asnakech has made over the years is to implement a rigorous quality control system. First, she makes sure to only pick and purchase cherries at the height of their maturity. The coffee is then processed using the natural process, allowing the coffee seed to dry inside of the fruit. The coffee is sun-dried on raised beds. 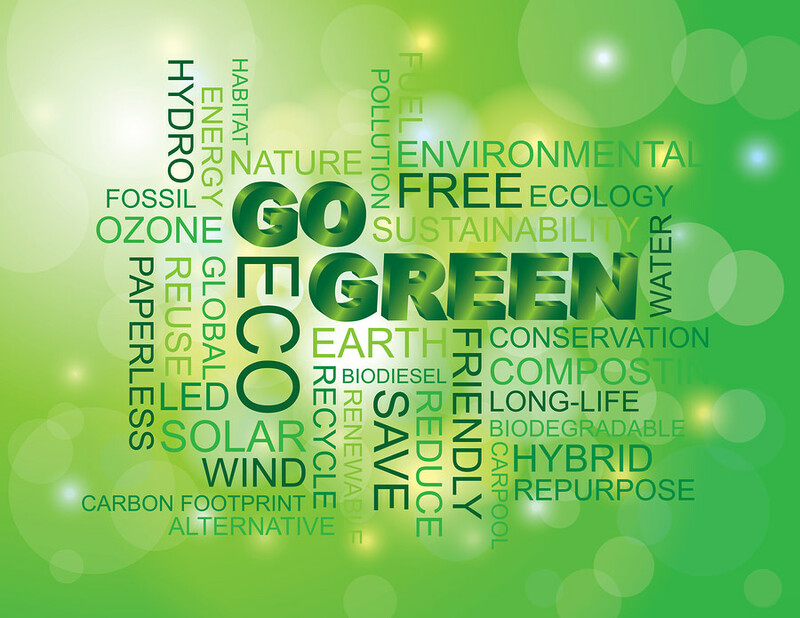 This drying process is closely monitored to ensure that no quality is lost. The coffee is then sorted to remove any defects. The result of all this attention to detail is a superior coffee. 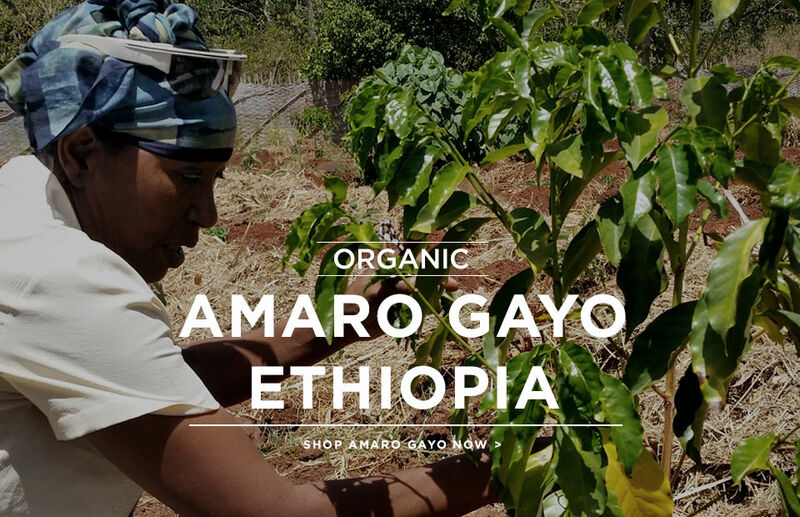 Asnakech is also the only female mill operator in Ethiopia and we are proud to support her efforts at producing truly spectacular coffees by presenting to you her Amaro Gayo, a cup full of lush berry flavor, complex acidity and juicy body. This coffee is certified USDA Organic, meaning its production did not involve the use of synthetic substances such as most pesticides, herbicides and fertilizers.